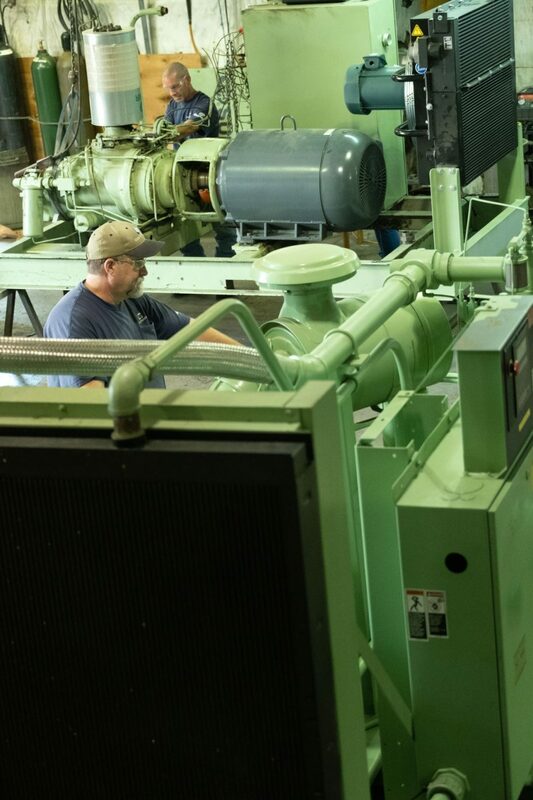 Blake & Pendleton has the capability to repair any Compressor Package, Refrigerated Dryer, or Desiccant Dryer from the ground up. 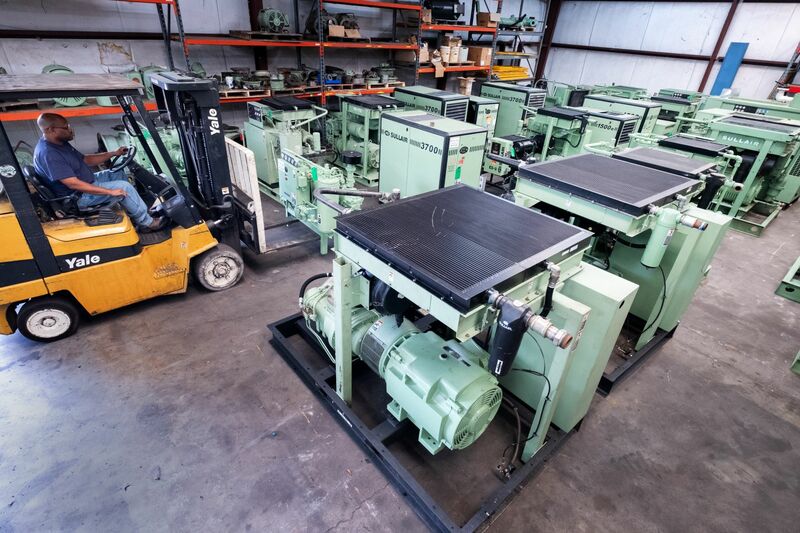 We take your equipment in disrepair and make the necessary repairs to turn it into like new condition. 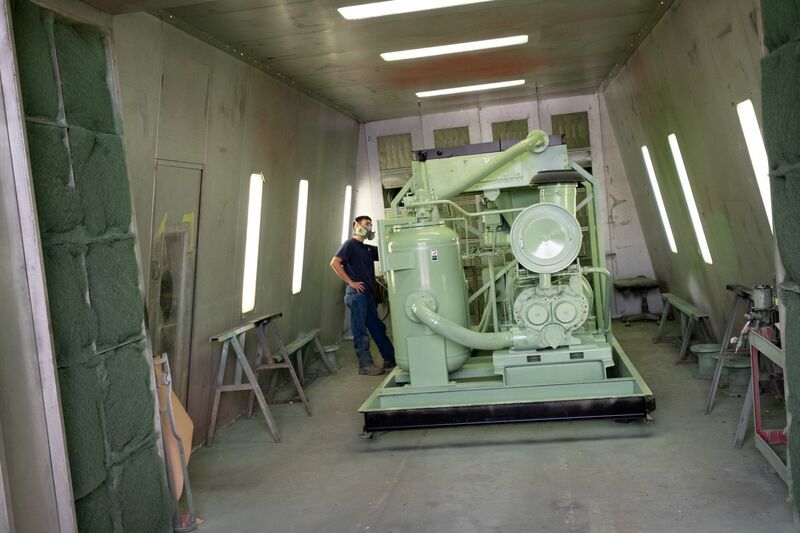 During a complete package refurbishment our services may include Air End Rebuilding, Dryer Repair, Cooler Replacement or Repair, Conversions from Water-cooled to Air-cooled, Motor Rewinding, Starter reconditioning, Full enclosure, Weatherproofing, and Full Skid Packaging. Once the package repairs are completed a thorough Running Test is conducted at pressure, unit is thoroughly cleaned and painted.